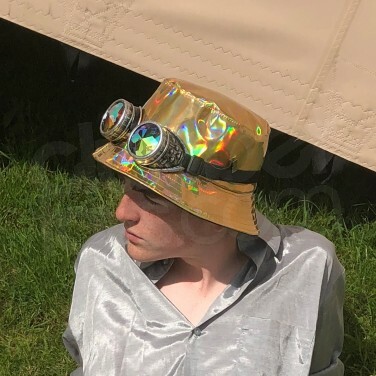 Shine all day and night too in this funky bucket hat in vibrant gold with a striking holographic effect! 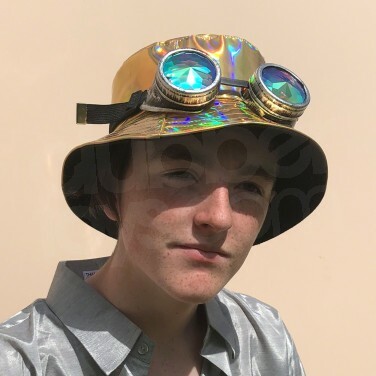 Give your look the golden touch with a funky holographic bucket hat that shines with effervescent shades of green, blue, red and yellow when the light hits! 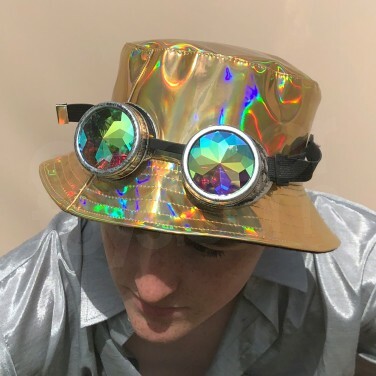 Keep your cool and rock ever changing shine with this party hat that's a must for music festivals and more! See your legs shimmer as they capture the light in a rainbow of colours for show stopping party looks! Finish off your party look with multi coloured lasers effects and gain handy pockets too with a silver holographic bum bag! 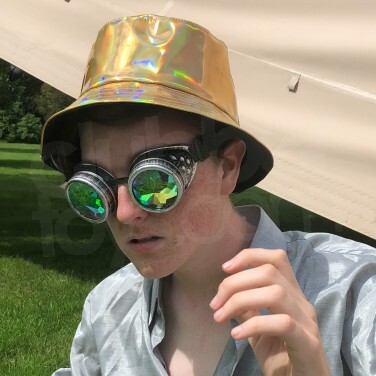 Secure your valuables and party in a funky golden holographic bum bag!